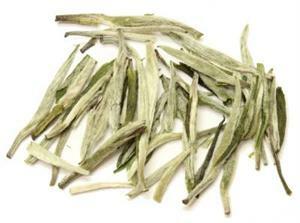 This white tea with a white downy appearance comes from the province of Zhejiang. Silver Needle, the highest quality of white tea, is picked during the spring before the buds open to preserve its tenderness. Exquisite and delicate, Silver Needle has a fresh, sweet fragrance and produces a pale yellow brew. Brewing with a Yixing teapot can best attain the aroma of the Silver Needle. This tea has high concentrations of polyphenols (antioxidants that help fight against cancer-causing radicals and heart disease). Click here for 4oz retail zip pouch package option. Copyright © Tea Enterprise. All Rights Reserved.